This place is said to be landing - spot of space ships, coming from other Galaxies. Nearly everyone who visited this place experienced something unknown, enigmatic, some presence of miracle forces. Nearly everyone felt there a unique comfort of soul. After first trip to M-zone people come back again. The place is highly energetic,and only positive influence on the human health has been noticed. More to this, there were cases of full recovery of the sick people without any medical treatment, traditional or not. Healthy people feel the general improvement in all spheres: physical, mental, spiritual, moral , etc. It is nessessary to mention the " moral effects " of M-zone: the drawbacks of one's character seem to disappear here, the good intentions and high feelings come to life. One's soul becomes cleaner, higher and calmer. You can almost feel yourself becoming a better man. Also the "creative effect" of M-zone is quite noticeable: the abilities of people are sharpening there and sometimes new talents and capacities, unknown before, begin to realize themselves. Extra-sensual people come here to refill their energetic resources and to strengthen their ability to cure sick people. M-zone is situated in a distant region, deep province where an access is difficult thus it is sure to be ecologically pure. The nature is very picturesque there.Wonderful woods full of berries and mushrooms, beautiful river enable to combine research work and rest perfectly. 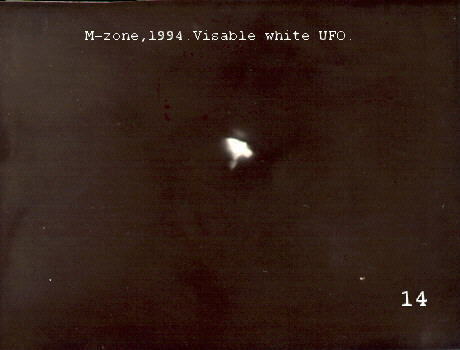 As for me and my friends, we confronted nearly every miracle in M-ZONE and have video-photo materials with UFO. 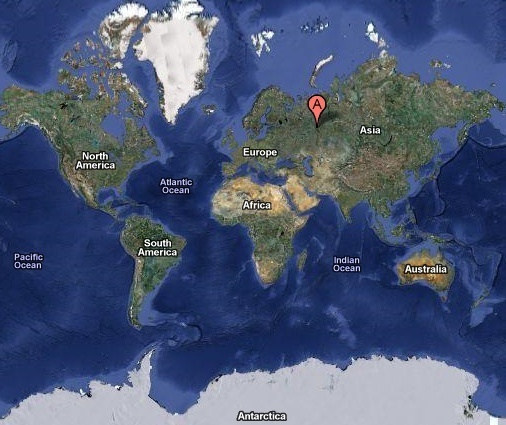 Undoubtedly the most UFO intensive area in Russia is a remote region near the Ural mountains, approximately 600 miles east of Moscow. Known as the M-Triangle this is a place renowned for its weird phenomenon and strange manifestations. Mysterious happenings are part and parcel of daily life. Witnesses report seeing strange lights in the sky as well as flying objects, and encounters with translucent beings who emerge from the forest! People even report signs and letters written in the sky! Russian writer Alexander Myagchenkov, author of the book "UFO - Unannounced visit", says that "incidents that have happened in that area are hard to believe, and it cannot be compared to any other place"! Myagchenkov claims that people who have visited the M-Triangle have sometimes developed astonishing powers and super-human abilities. One notable example of acquiring extraordinary powers is the journalist and cosmonaut Pavel Mukhortov. Discharged from the army for health reasons, Mukhortov later found work as a journalist. Whilst reporting for a newspaper he began to read more and more about the strange powers associated with the M-Triangle and decided to visit the place for himself. Apparently the area was already the focus of a KGB investigation, and this strengthened Mukhortov's resolve to find out the facts for himself. 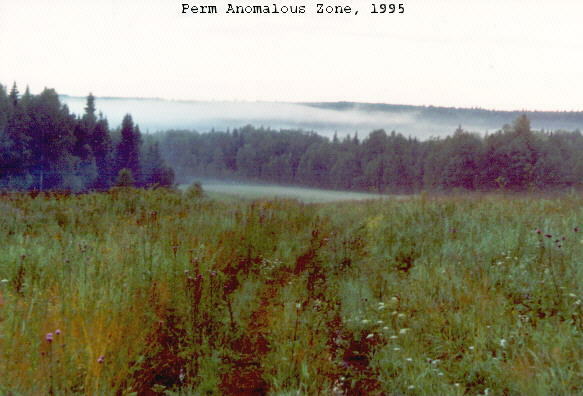 What he discovered was a remote and isolated area that immediately felt strange and eerie. Some of his group quickly became ill, and Mukhortov himself felt overcome by wild emotions. Photos of strange flying objects were taken, and upon returning to Moscow Mukhortov felt changed. He believed he had been filled with great knowledge concerning aerospace physics, and a short time afterwards was admitted to the Soviet Space Programme as a cosmonaut. He believes the M-Triangle completely changed his life and believes it gave him abilities beyond his wildest expectation. Another Russian author with experience of the M-Triangle is Emil Bachurin, who later wrote a book on the subject. He associates the triangle with many strange occurrences! The most amazing of these concerns the incredible events that befell a visiting research team. Very early in their visit they encountered a strange energy source and were chased into the surrounding woods by translucent lights that exuded a peculiar heat. As a result several members of the group received serious burns! Later a glowing object stunned one of the research group, and one of the men was so disturbed by the area that he later committed suicide. 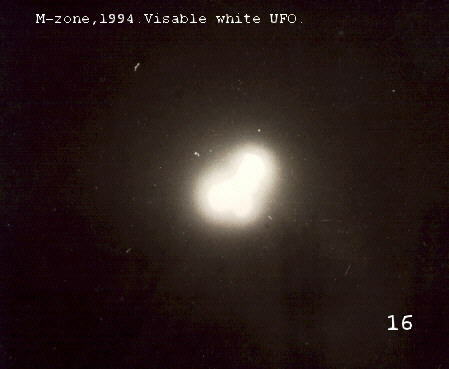 Bachurin claims that UFO's are frequently seen in the area, either flying by or landing, leaving behind areas of increased radiation. A visiting American television crew for the syndicated programme "Sightings", was allowed access to the M-Triangle, but warned to stay no longer than 24 hours. 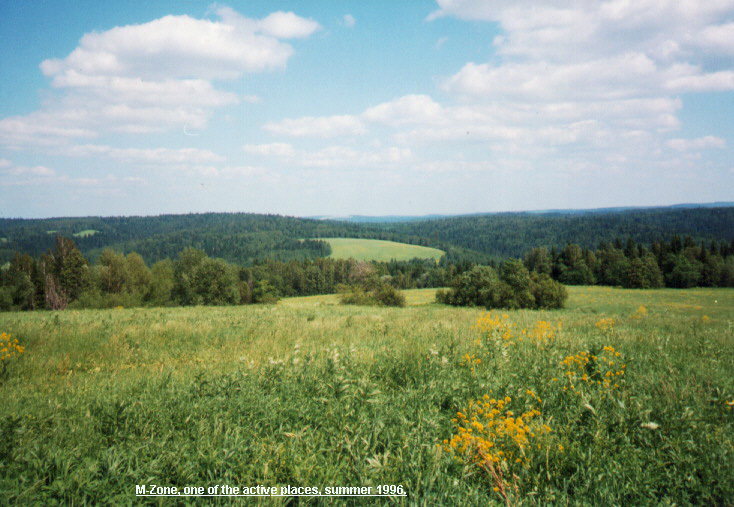 The Russian government was at pains to point out the considerable dangers of the area - events and happenings that though frequently investigated, could not be explained. Almost immediately the visiting TV crew were acquainted with the areas strange powers. 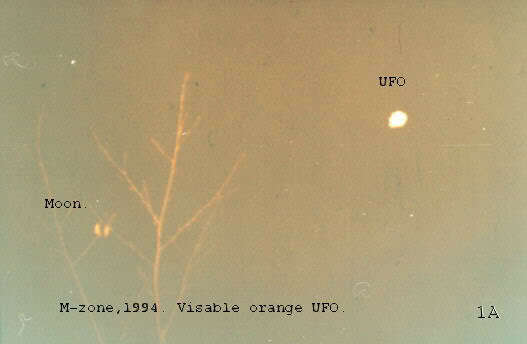 Weird lights encircled their encampment, and bizarre events and phenomena were captured on film. Locals were quick to relate their own wealth of experiences ranging from flashing red balls, to mysterious objects that flew about the sky. So common were these happenings that many of the locals saw nothing unusual in them and were even bored by them. Said one old woman: "I've seen saucers numerous times. To say they are nonsense is nonsense. We know what we see"!